Leader of the Opposition Bill Shorten. 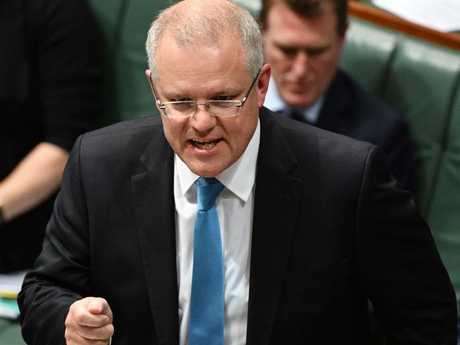 SCOTT Morrison has blasted Labor's decision to rollback company tax cuts for medium-sized businesses, saying the party is sliding down the "snake of envy" in a high-stakes game of snakes and ladders that will hurt the Australian economy. The move will "steal back" tax relief from 20,000 business employing 1.5 million Australians and give Labor more than $20 billion for its war chest to "splash" cash across the country before the next election, the Treasurer said today. It comes after Opposition leader Bill Shorten this morning confirmed Labor would repeal tax cuts for businesses with turnovers between $10 million and $50 million if it wins government. "This is a snake and ladders game under Labor," Mr Morrison said. "It used to be the ladder of opportunity and now it is the snake of envy under Bill Shorten. Australians will slide down under Labor." Mr Morrison claimed Australians would either pay directly under Labor's plan for $200 billion worth of higher taxes or they would "pay for them through the suffocation of the economy through higher taxes". 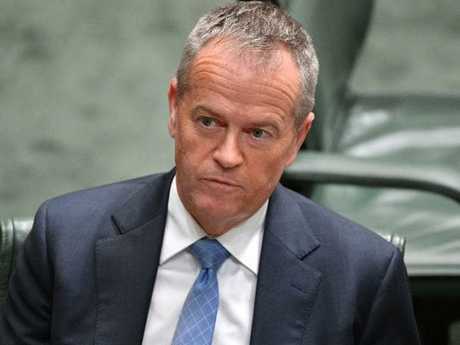 He also claimed the decision was a "captain's call" by Mr Shorten in response to the possibility of a leadership challenge from former rival Anthony Albanese, who last week criticised Labor's current anti-business rhetoric. "Shadow Cabinet, to the best of my knowledge, hasn't meantime to actually make this decision," Mr Morrison told reporters at Parliament House. "Their Caucus has not met to confirm this decision or make this decision. "He gets under a bit of pressure from Anthony Albanese and runs out giving a speech and makes a unilateral call on what he is doing with tax policy - you can't trust this guy with tax. You can't trust this guy with anything." Mr Morrison said the "naked tax grab" was designed for one purpose. 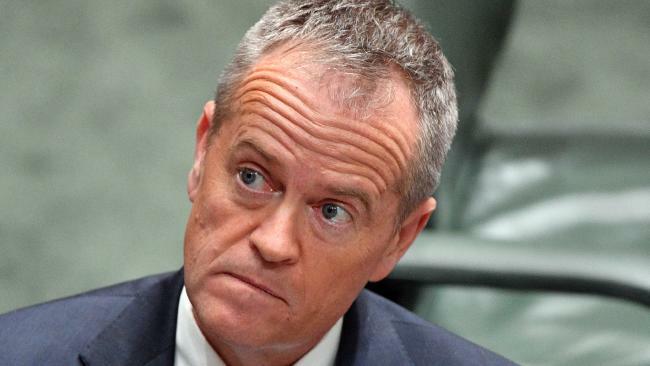 "[Bill Shorten] wants a big chest to just splash cash across the country to pursue only one interest - and it isn't the national interest, it is his own political interest," he said. Mr Shorten confirmed the party's stance today after months of deliberations, as the Turnbull Government continues to negotiate with the crossbench to pass its full $65 billion enterprise tax plan this week. Labor will retain the tax cuts for businesses making up to $2 million a year. But it has yet to decide whether to roll back the cuts for those making between $2 million and $10 million. "We've actually said that we will support any Australian business with an under $2 million turnover to get a tax reduction because we think small business could always do with all of the assistance it can get," Mr Shorten told reporters in Canberra today. "Beyond that, we're considering our position between $2 and $10 million turnovers but fundamentally you have got to look at priorities." Prime Minister Malcolm Turnbull aimed to pass the full company tax package this week, after a massive win on income tax cuts last week, but he appears unlikely to succeed. The government currently needs four more votes and is seeking support from One Nation's two senators, Centre Alliance's two senators, Derryn Hinch and independent Tim Storer. Senator Hinch has indicated he would back the cuts for businesses up to $500 million but doesn't want banks to get the tax break, given revelations at the banking royal commission. 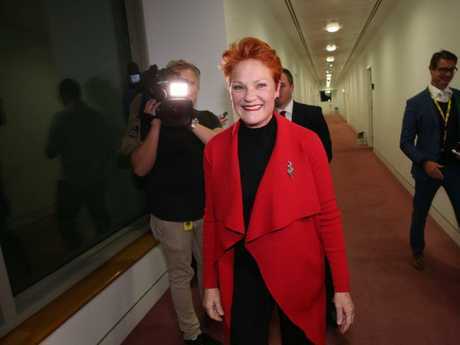 Pauline Hanson has said she will not back the full plan but has indicated she is open to some movement, if the government can give assurances it will ramp up measures to make multinational corporations pay more tax in Australia. Mr Morrison would not clarify whether the government would put the full package to a vote this week, knowing it would not succeed, or whether it could split the bill to secure tax relief for businesses making up to $500 million a year. He said the party remained committed to the full plan. Mr Shorten defended Labor's personal attacks on the Prime Minister over his wealth and support for the company tax cuts this morning after reports Mr Turnbull gave his entire $500,000 salary to charity. "Let me state very clearly, good luck to Mr Turnbull for being a very, very wealthy man," he said. "It is not his wealth that worries me, it's when he says really stupid things - when he says to young couples trying to buy their first home 'just get rich parents'. "When he says to 60 year old age care workers in Burnie - why can't they get a better tax cut, he says, 'just get a better job'. Asked what his message to business was after confirming Labor would roll back tax cuts, Mr Shorten said the party would ensure businesses had highly skilled apprentices and a better National Broadband Network.